Adventures In Uglyworld: Uglyworld #814 - "It's This Bigs"
Uglyworld #814 - "It's This Bigs", originally uploaded by www.bazpics.com. 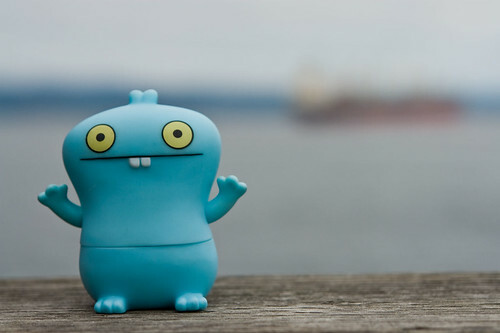 Just as I was about to take Babo's picture on one of the many piers at Astoria, Cinko shouted "How bigs is the fish?" to Babo, who immediately resorted to doing his "Big fish, little fish, cardboard box" dance while shouting back in Cinko's direction, "It's this bigs!". The sense of humour the little guys possess can be hilarious at times.